Stocks posted significant gains last week, with both the S&P 500 (SNPINDEX:^GSPC) and the Dow Jones Industrial Average (DJINDICES:^DJI) rising by roughly 2%. The indexes are up 15% and 13%, respectively, so far in 2019 and sit just below the all-time highs established in October of last year. PriceSmart (NASDAQ:PSMT), Bed Bath & Beyond (NASDAQ:BBBY) and Wells Fargo (NYSE:WFC) all have earnings reports scheduled to be released in the coming week. Below, we'll preview those announcements. 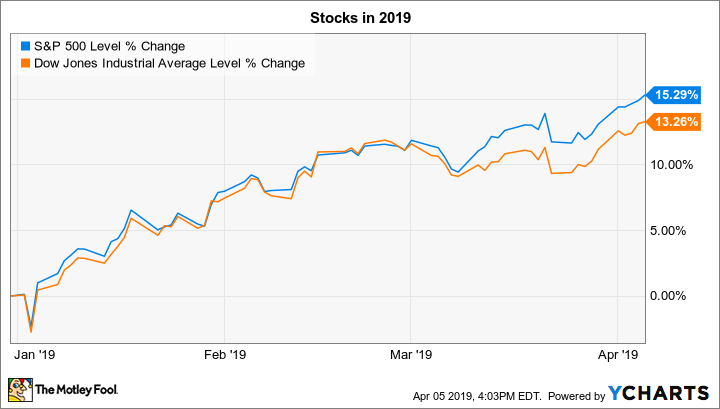 Bed Bath & Beyond's shares have been on a sharp rebound so far in 2019. The struggling retailer in January announced mixed holiday-season sales results, with revenue declining at its physical stores and rising only modestly in the online channel. Yet the report contained some good news for investors, including falling inventory levels and reduced reliance on price cuts. Together, these trends helped shore up the chain's cash position, giving management room to work on their rebound plans. That strategy calls for earnings to hold steady this year before starting to climb again in 2020. Investors can look for updates to that forecast when the retailer announces first-quarter results on Wednesday. Executives will feel pressure to make more concrete rebound promises now that activist investors are working to shake up the management team. The best way for Bed Bath & Beyond to defend against these moves is to show sustained improvements in its operating trends. Wells Fargo is one of the first big bank stocks to report first-quarter earnings, so investors will be watching this report for signs of more strength in the broader economy. Its last outing showed steady growth in loans and deposits, with credit metrics holding up well. However, Wells Fargo continued to trail rivals in key revenue, efficiency, and profitability metrics in the wake of a series of scandals that have harmed its brand. Those struggles likely played a role in the recent announcement that Tim Sloan would be stepping down from the CEO position. Sloan took on the job in hopes of crafting a recovery for the business, but many investors have been disappointed with the pace of progress since his appointment in late 2016. Wells Fargo will have a chance on Friday to signal a fresh start as it looks out deeper into fiscal 2019. However, as it takes on its third CEO in as many years, shareholders are hoping that its next leader can finally steer the bank toward moving past its recent scandals. PriceSmart will announce its results after the market closes on Tuesday. The international warehouse retailer hasn't impressed investors with its last few reports. Comparable-store sales declined in the fiscal first quarter, for example, and operating income fell to $25 million from $33 million a year earlier. Some of that slump can be blamed on currency-exchange-rate fluctuations, but the chain has also stumbled in a few fundamental aspects of retailing. After touring its store footprint in recent months, interim CEO Sherry Bahrambeygui said she noted parts of the business that just weren't up to standard. "It is our responsibility to have the right merchandise at the right time, in the right quality, in the right condition, and at the right price," Bahrambeygui said in a conference call. The new leader will have an opportunity on Tuesday to articulate how she plans to improve PriceSmart's effectiveness in each of these areas. Investors aren't expecting much in the way of a quick rebound, though, given that comps decreased in both January and February. Thus, getting that metric back into positive territory is a top priority for Bahrambeygui and her team.